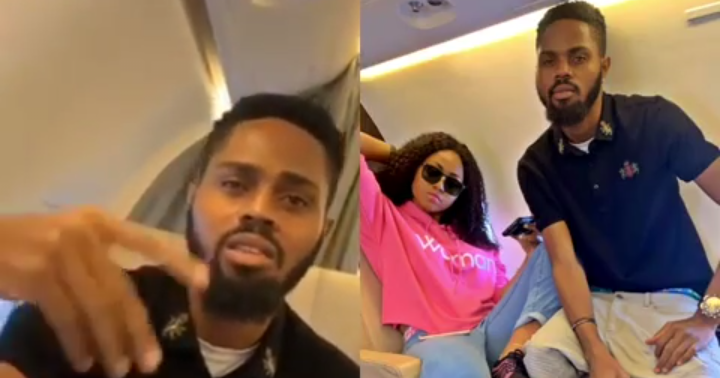 via Regina Daniels Brother Lawrence, while chilling in a private jet reacts to the news about his sister marrying and becoming the 6th wife of 59years old Nigerian billionaire Hon Ned Nwoko. Reacting to the rumor ,Lawrence said: "Them Go Talk, Talk, Talk Na Them Go Tire". Do you think people have the right to question his sister's wealth? Drop your comments below.